Excel and Access are two applications from the software giant, Microsoft, to deal with tabular data efficiently and conveniently. Access is a Relational Database Management Software or RDBMS that is used to create tables where data can be stored and related to each other. Each of these applications have their own purpose to serve, which they do sufficiently. Excel is used for paperworks where you can arrange and tabulate data properly for printing or presentations. For this reason, Excel is a staple in offices where a lot of data needs to be collated and tabulated. Access is used as a system of storing data so that it can be retrieved later. It is often set-up so that employees can access it from a few locations and do queries or enter new data when needed. A part of how access works makes this possible. Access does not lock the whole database when it is accessed, it merely locks certain records to prevent the occurrence of errors in the database. Excel locks the whole spreadsheet once it is accessed. Making other people unable to edit other entries or even to add new ones. Because of this, Access can be used by a lot of people at the same time without even noticing any difference. Excel is also a lot easier to learn since it is meant to be used by a lot of people. The learning curve for Excel is not really that steep as most of the things you would need to learn are related to word processing. Even the more advanced controls and options do not require a lot of learning. Access is also easy to use when it has been set-up beforehand. But unlike Excel, the learning curve of Access gets pretty steep quickly. To implement the more advanced capabilities of Access, the person who would set-up the database and interfaces would need to know programming. Knowledge of Visual Basic and SQL is of great help when creating new Access databases. Ben Joan. 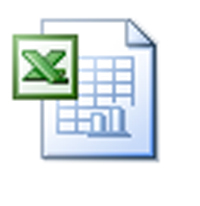 "Difference Between Microsoft Excel and Microsoft Access." DifferenceBetween.net. December 25, 2010 < http://www.differencebetween.net/object/difference-between-microsoft-excel-and-microsoft-access/ >. You made it more understandable, thanks stan. Are you going to update the article for Excel 2013? It’s best to use Access and Excel together. BAU DB bridges Excel with Access and provides the benefits of both the ease of a spreadsheet and the power of a database at the same time. It’s baudb.com.